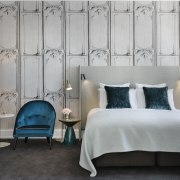 The New Zealand design studio behind the World’s Best New Hotel – Space Studio – says the award is a stunning result and recognition of a project that transformed a budget accommodation provider into a ‘jewel of a hotel’. 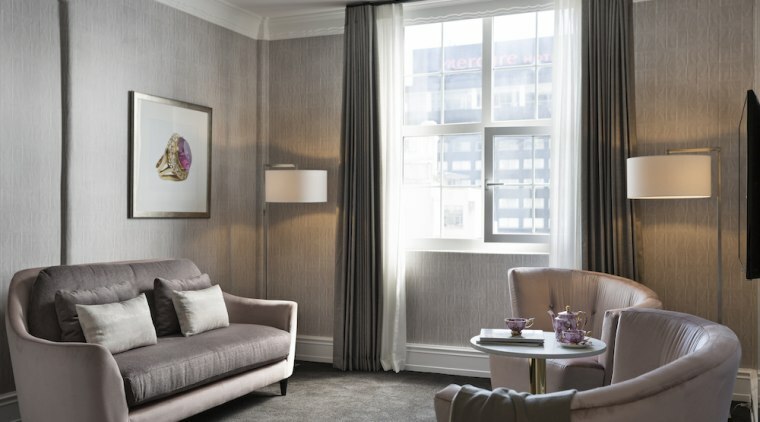 Auckland’s Hotel Grand Windsor by MGallery has taken the title of “Best New Hotel” in the prestigious Boutique Hotel Awards at a ceremony in London. 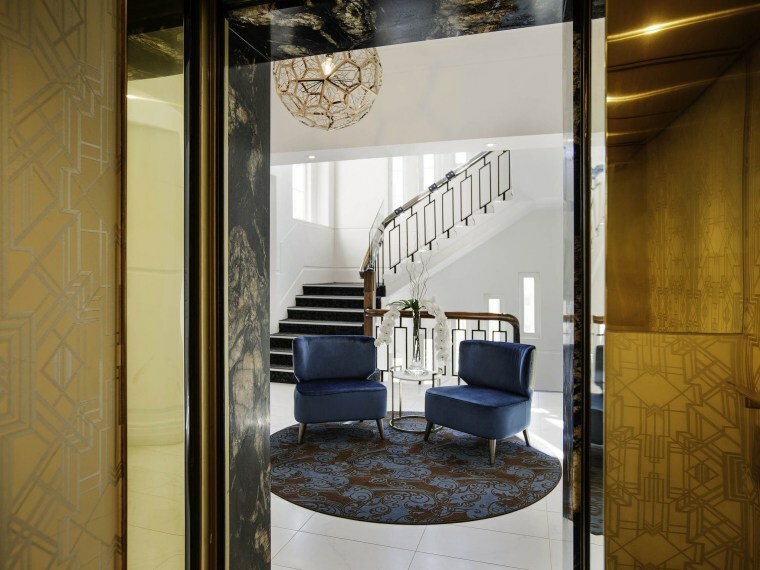 Located in a 10-storey art deco building on Queen Street, often considered Auckland's first skyscraper, the hotel's designers used the original 1920s architecture as an aesthetic foundation for its relaunch in June 2017. 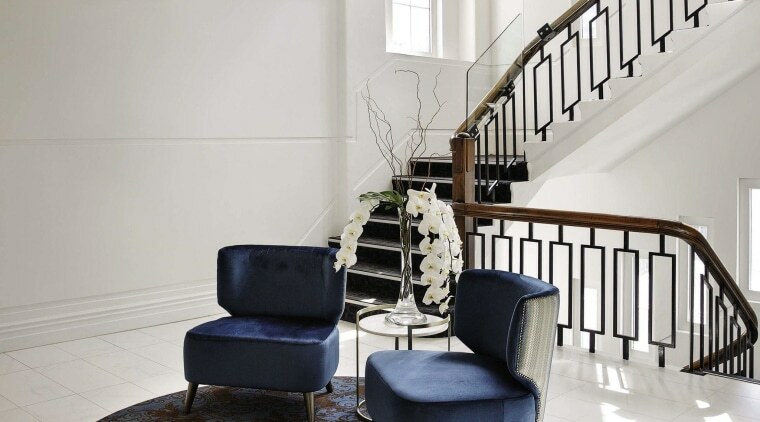 Space Studio director Vee Kessner says her team of designers used the building’s heritage in the design of the upmarket hotel, incorporating jewels and tea references throughout the building, while restoring the integrity of the building’s original art deco design. “It’s an old building with a long history and housed one of the first refreshment tea rooms in Auckland, and we wanted to make that connection again with some of the design elements we created in the building,” Kessner says. 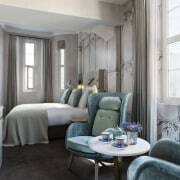 Rooms are themed around four gems - sapphire, emerald, tourmaline and amethyst – which featured heavily in Wallis Simpson’s Windsor jewellery collection. “We enlarged the image of what was a small ring or tiara, for example, and celebrated the beauty of it in large form so you engage in the jewellery pieces in a way you normally wouldn’t,” Kessner says. 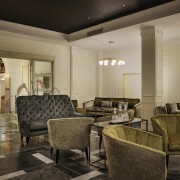 The building’s history as tea rooms was also incorporated in the new design, providing another point of discussion. Images of ornate tea sets adorn the corridors with tea sets themed in the jewel tones in guest rooms. “They are jewels in their own right and connect with the MGallery brand offering around tea,” Kessner says. Kessner admits the project had its challenges. 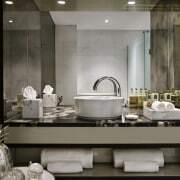 The building wasn’t initially designed as a hotel, and with fixed concrete walls throughout, the existing rooms were literally, fixed in stone. “Every space had to be accommodated around the structure of those concrete walls,” she says. 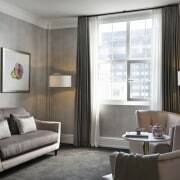 As well as transforming the 66 guest rooms and three suites, Space Studio was responsible for the design of the entry lobby and restaurant and bar space. 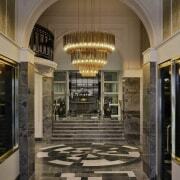 The lobby’s refurbishment included new stone flooring drawing on inspiration from the art deco styling, pendant lighting installed, lifts refurbished while still keeping the original detailing, and an old internal staircase, which had been closed for years, exposed and restored to its former art deco glory. 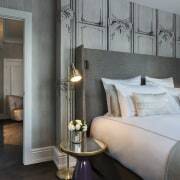 Kessner says the project is a good example of the current move towards increasing individuality in hotels. “More and more people want to stay in a place that is not vanilla, but which has personality and offers you some connection with either its history or location. 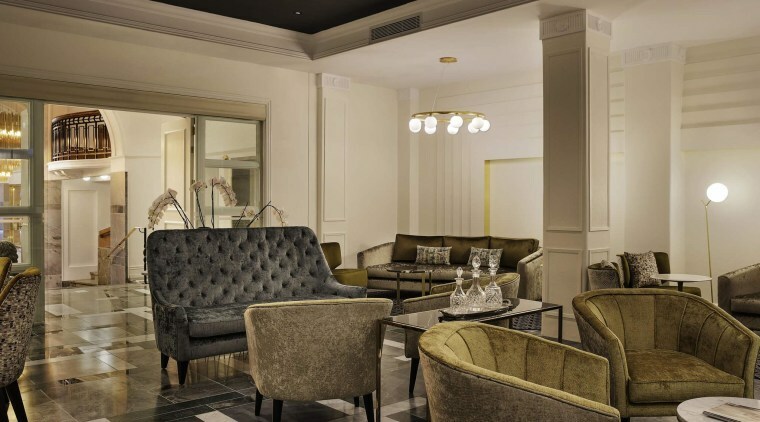 Even hotel brands, she notes, are seeking differentiation between their hotels, with the brand itself a comment on the level of service and finish expected, rather than an individual property’s identity. 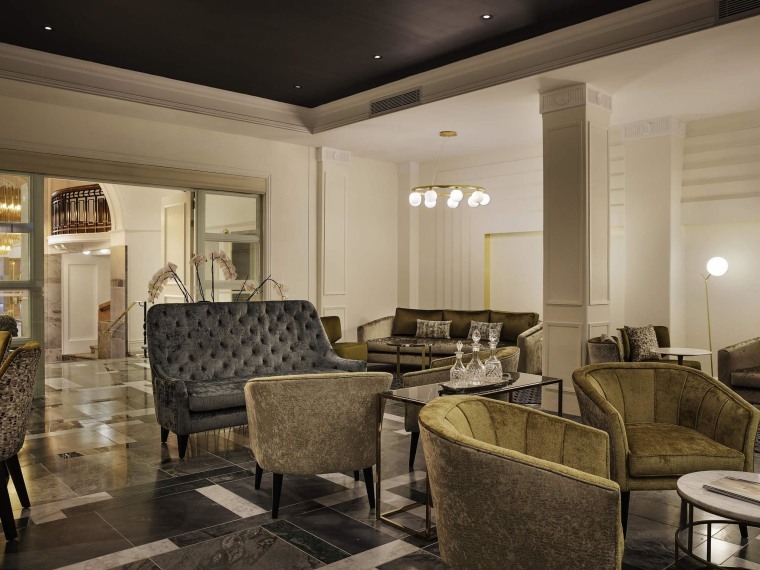 Kessner says the Hotel Grand Windsor has experienced high demand since the refurbishment. “I’m aware the upgrade, albeit a significant investment for the owner of the building is reaping its rewards in terms of return on investment,” she says. 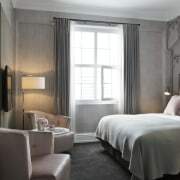 The refurbishment has sparked a flurry of positive comment on TripAdvisor, with visitors noting ‘sensational decor’, ‘tasteful decoration with a superb finish’, an ‘incredible’ transformation, with ‘world class’ furnishings, and one reviewer noting ‘it was a bit like being in a movie set with a quirky breakfast area and rooms with unique furnishings’. 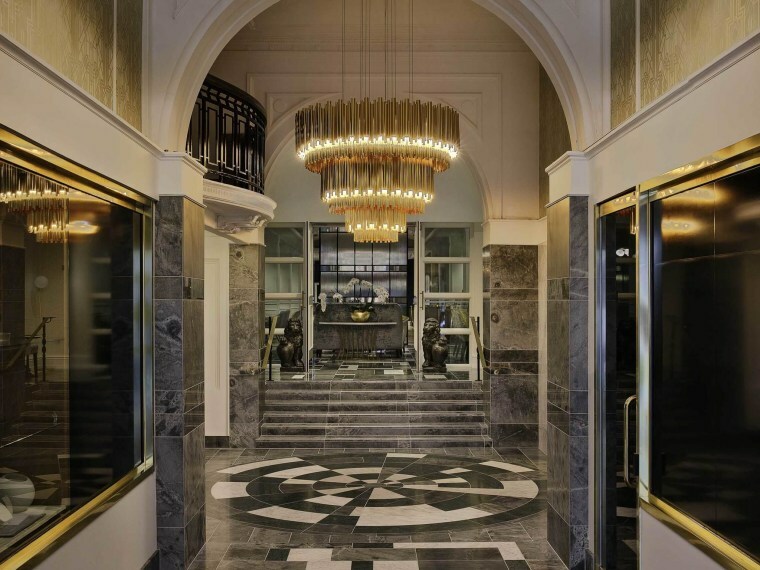 “We really valued the opportunity to resurrect what was a very tired, old building in Auckland Central into something that is quite beautiful,” Kessner says. 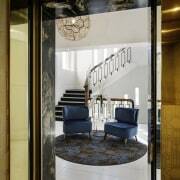 “It was challenging but to see the end product, and to see people enjoying using the space is wonderful.